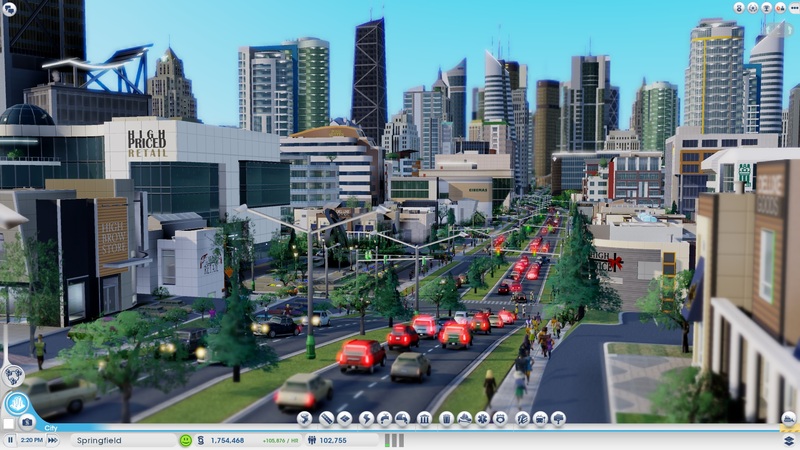 EA has updated SimCity to version 1.7, bringing with it the promised improvements to traffic. In the previous version of SimCity, cars would pile up on roads that were a direct route to their destination, even if there were alternate roads available that were not congested. Emergency vehicles would also get stuck in traffic, even on avenues with open lanes, and would often remain in their garages for far too long. • Traffic Improvements: Tuned traffic congestion and fixed some intersection traffic issues. • Traffic improvements: Emergency Vehicles will drive in empty lanes to get around traffic at intersections. • Traffic improvements: Emergency and Delivery vehicles get priority over regular traffic when leaving garage. • All units and buildings can now be demolished using the bulldoze tool. • Performance improvements for low spec systems. • New Server: Asia 2 will be released Tuesday afternoon (PDT)! SimCity still has a lot of room for improvement. Players are still waiting for Cheetah speed (the fastest of 3 game speeds) to be added back into the game, but there has been no ETA announced. Cheetah speed was removed in an effort to stabilize the servers during the weeks following the game’s launch.